Five Ways Technology is Reshaping the Customer Experience. Connected through mobile access and empowered by choice, customers today expect their retail experience to be effortless. Retailers have to focus on delivering not just great customer service but a seamless customer experience. 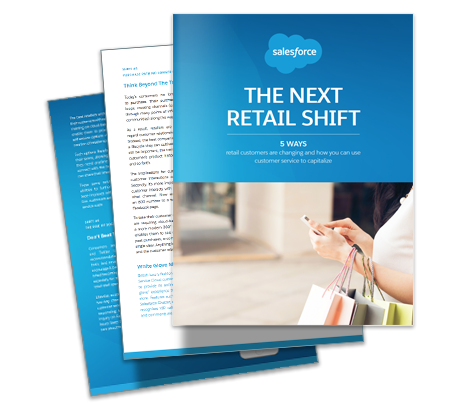 Embrace the new consumer landscape with CRM. Register now to read the free report.